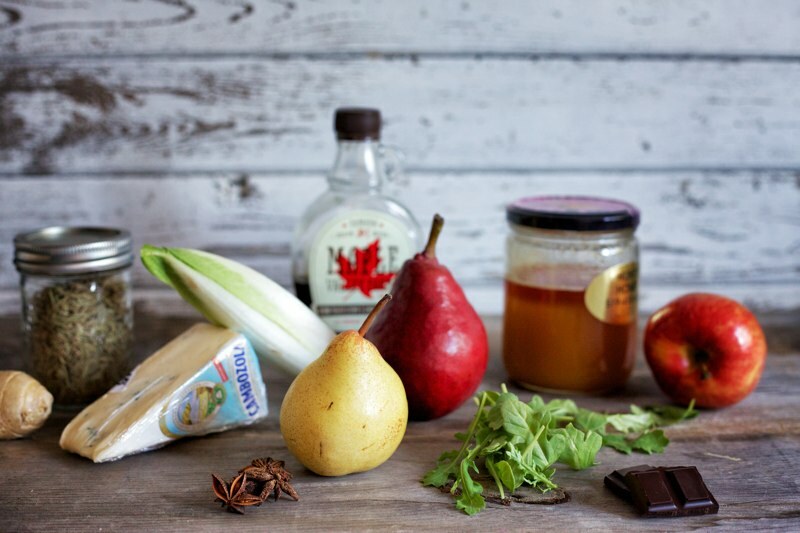 What Goes Well With Pears? What Do Pears Go Well With? Other: almonds, caramel, chocolate, hazelnuts, honey, maple syrup, oils, pecans, pistachios, walnuts, brandy, wine (both red and white) and vanilla. 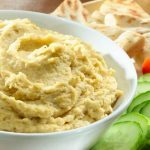 Snack seasonally and nutritiously with some pear hummus. Serve with your favourite crudités like carrots and celery, or with crackers and soft baked pita triangles. For an inspiring yet easy entertaining dessert try these caramel-dipped pears with walnuts. 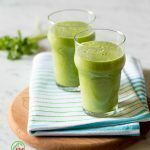 Start off your morning with a pear and pineapple green smoothieor Bartlett pear muffins. Pears are full of fibre and provide the energy required to start your day. Add a little sweetness to dinner by serving honey-glazed pork chops with pear chutney and a pear fennel salad. Fennel’s liquorice flavour is complemented by the pear’s sweetness, making the salad a perfect crunchy accompaniment to the pork chops. Swap out your weekly stand-by pizza and make a homemade seasonal version topped with sliced pears, caramelized onions and brie. Mix it up for the holidays and make this herb & pear glazed turkey. 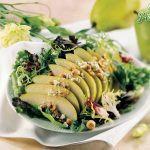 Serve it alongside a simple yet delicious pear saladand you’re good to go. For a sweet finish, why not end your meal with these tropical hibiscus poached pears. 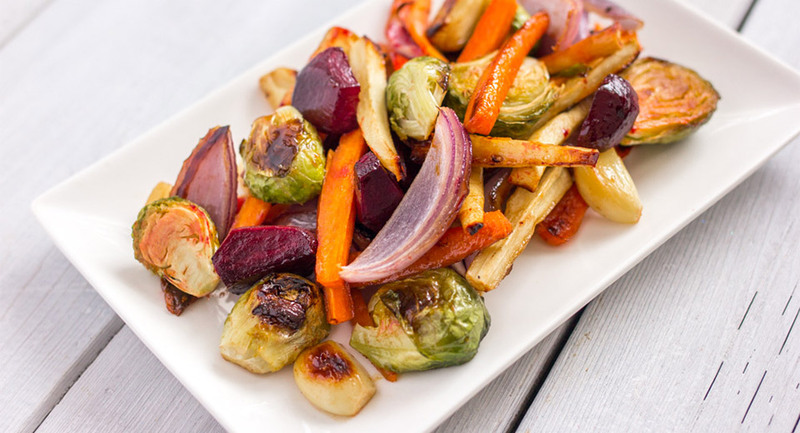 They are sweet, vibrant, and a perfect ending to a fall or winter dinner. Pear and parsnip soup is comforting, warming and light, and brings a sweet yet savoury bite to the table. Serve this pear and cranberry relish as a garnish for chicken and fish, or even a holiday turkey, or add it to a cheese board for a bit of colour as well as a fresh bite. Tartlets are an easy and elegant appetizer and these pear and shallot ones are seasonal, not to mention spiked with unexpected flavor like cumin and cheddar cheese.